When you’re traveling sometimes you don’t have a Wi-Fi connection available for your portable devices or need to share files with another wireless computer. 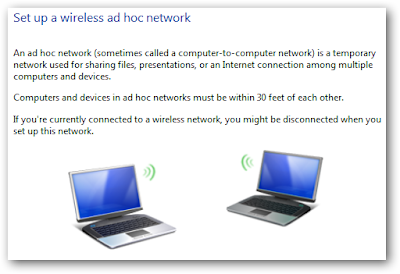 Here is how to create a wireless ad hoc network in Windows 7 to solve the issue. 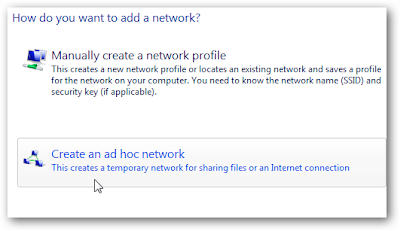 An ad hoc network is a local area network you can build spontaneously in a pinch. 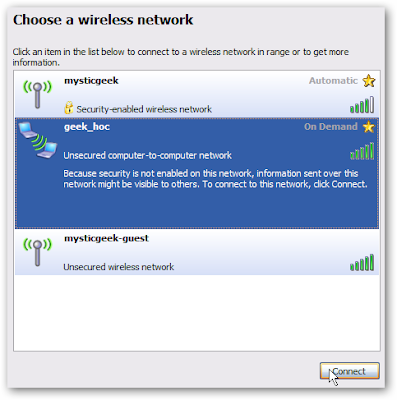 It allows computers and devices to communicate directly with each other within a small radius. 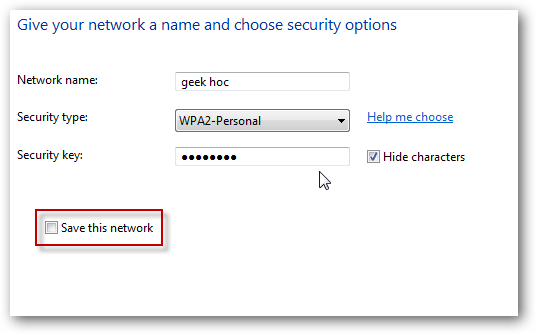 The ability to create an ad hoc network has been possible since XP and is a way to quickly share data and an Internet connection to other wireless devices. 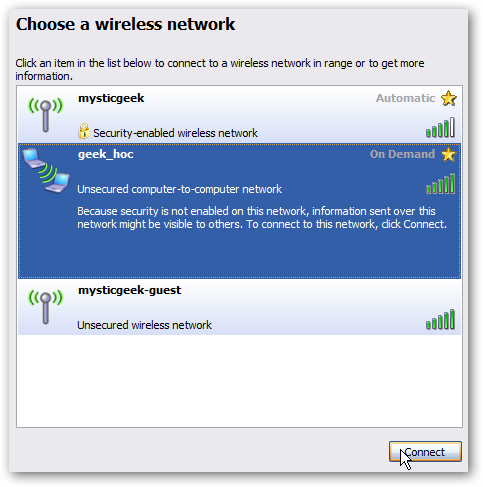 For this tutorial you’ll need the host computer to be hardwired and have wireless capabilities such as a Netbook or Laptop. 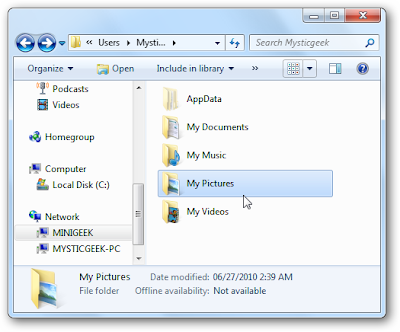 In our examples we show using Windows 7, and connecting an XP laptop, but you can create one with Vista as well. 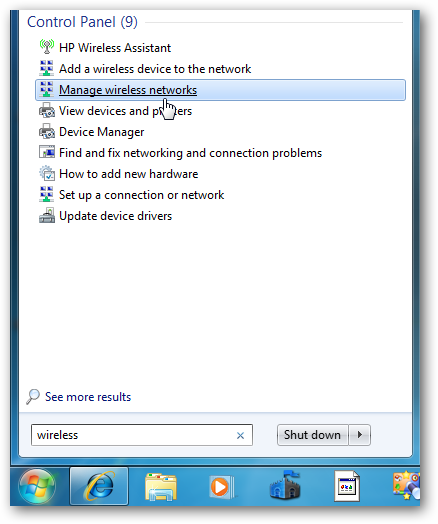 Open the Start Menu and type wireless into the Search box and select Manage wireless networks. 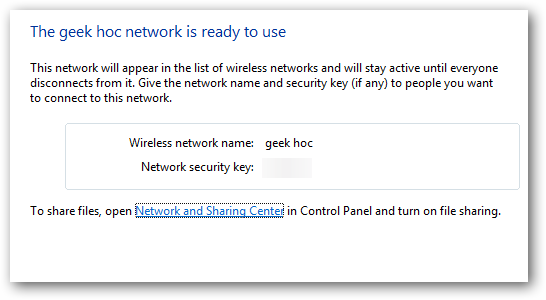 Click the Add button to add a wireless network. You’ll get a message instructing you of what an ad hoc network is…click Next. Now give your network a name and choose security options…check Save this network if you plan to use it repeatedly so you don’t have to set one up each time. The security type will depend on what the wireless adapter is capable of. We found if you’re only using it quickly with different types of devices it’s easier to have no security. 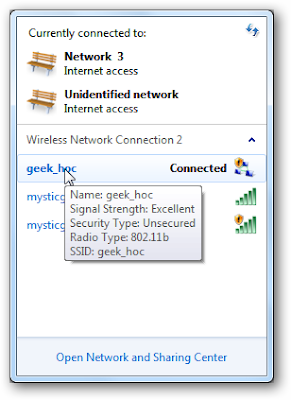 Of course if you are keeping it on for full-time use, you’ll definitely want to use security. 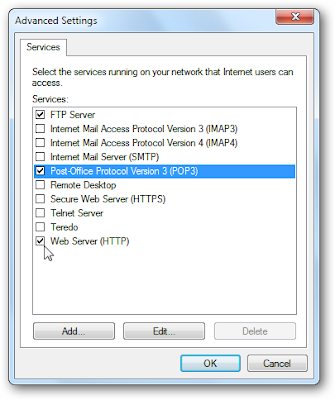 The network was successfully created and is ready to use. 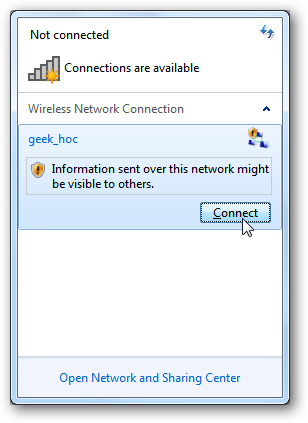 On the Client computer, click on the wireless icon to see available networks and connect to the ad hoc network. Then on the Host machine you will see that the other computer is connected to your ad hoc network. 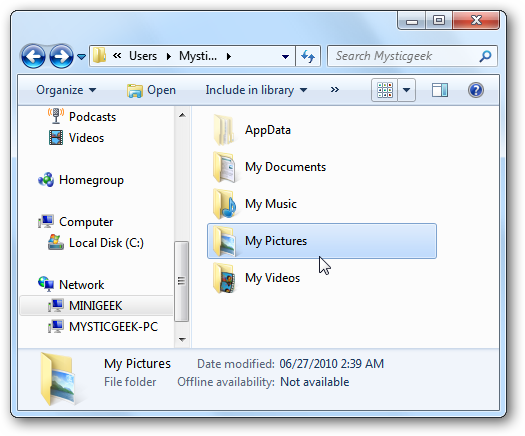 At this point you’ll be able to share files between machines. 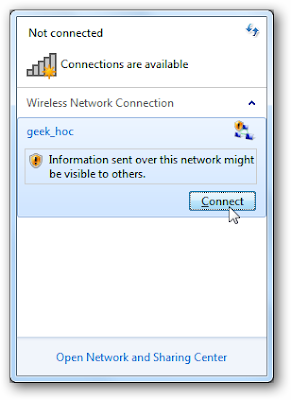 To share an Internet connection with other devices, right-click on the Host’s wireless adapter icon. 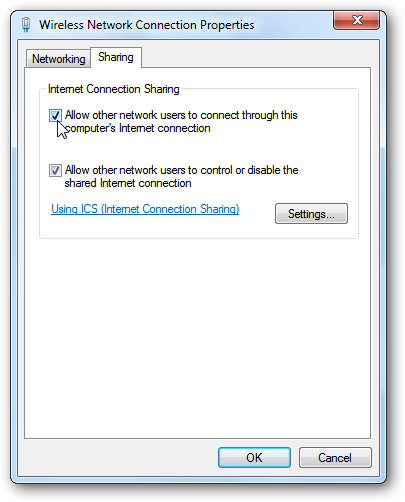 Go to Properties, click the Sharing tab, and select Allow other network users to connect through this computer’s Internet connection. In Settings you can select the network services the Client machine can access. Now you can share documents and the Internet connection between machines and devices. 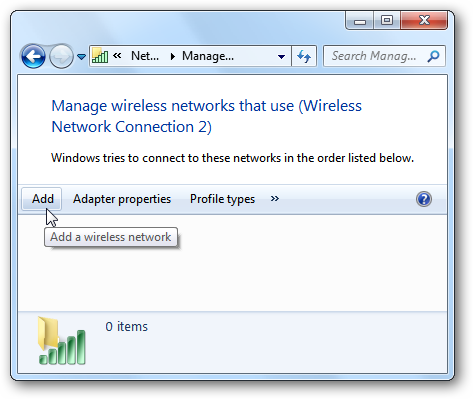 In this example we’re sharing between a Windows 7 desktop with a wireless card and a Netbook with Windows 7 Home Premium. Of course you can also connect your XP machine too. 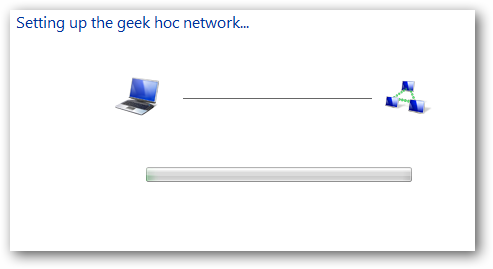 Here we are connecting an XP Laptop to the ad hoc network. 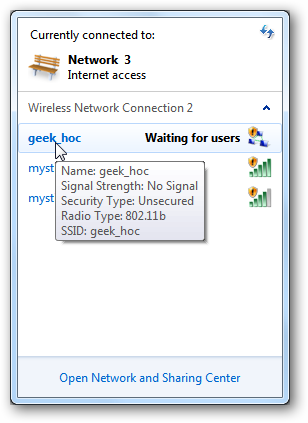 If you are looking for a quick way to share your internet connection in pinch say at a meeting or a hotel with no Wi-Fi, creating an ad hoc network is an easy process. 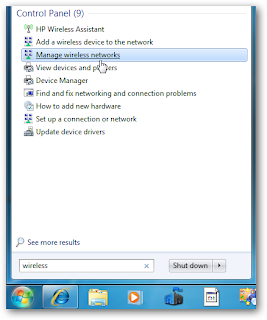 Keep in mind your devices need to be within 30ft of the Host computer, and the Internet connection maybe a bit slower than your used to (especially if you have several devices connected). If you would like to use a third-party app to create an instant Wi-Fi hotspot instead, check out our article on Connectify.